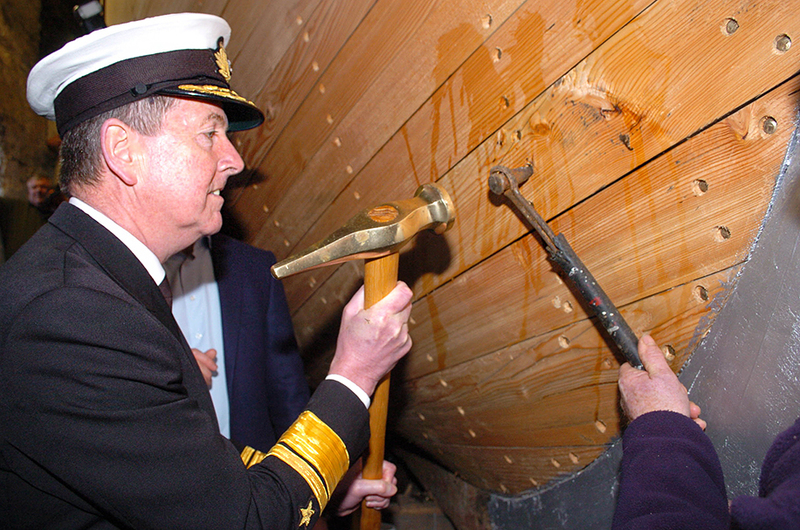 The good ship Ilen’s whiskey plank was jointly nailed home by Minister For The Marine, Simon Coveney, Mrs Kate Jarvey, Gerry Boland of JP McManus Charitable Foundation, Rear Admiral Mark Mellett, the Deputy Chief of Staff of the Defence Forces and Gary MacMahon, director of Ilen School. 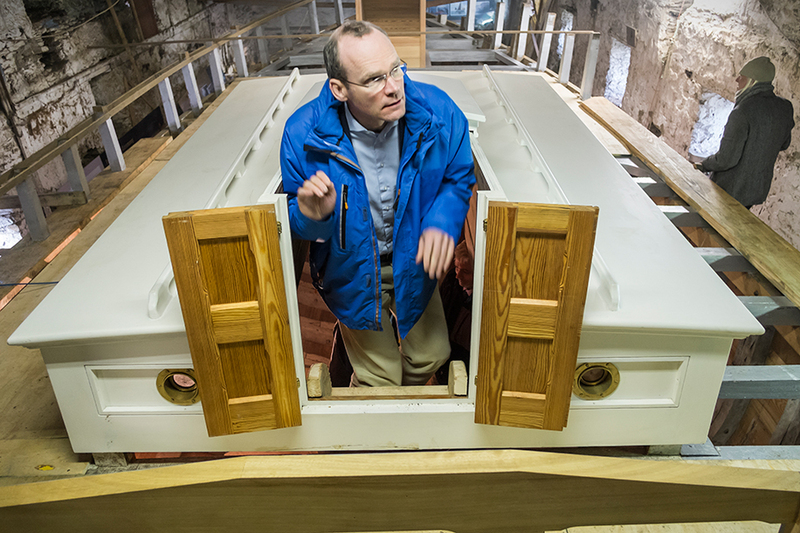 Minister Simon Coveney praised the educational model of the Ilen School and the quality of it’s community work. 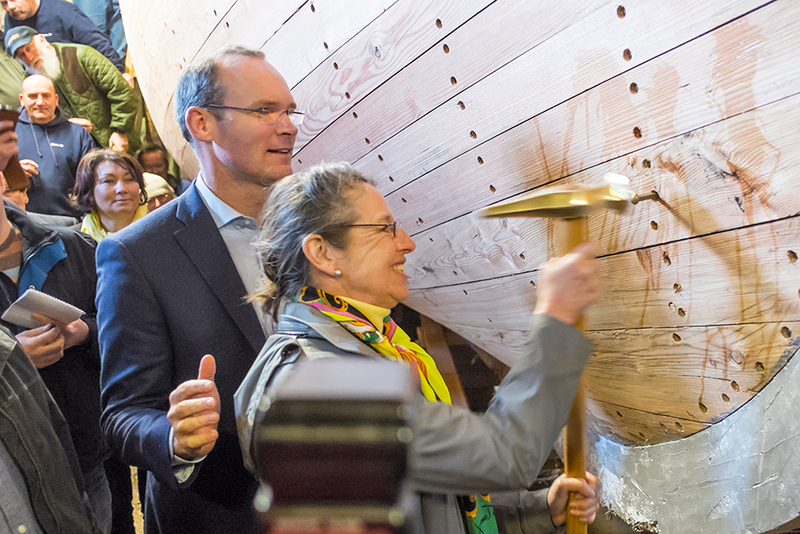 He also delighted in the high quality of shipbuilding in the ongoing reconstruction of the good ship Ilen. 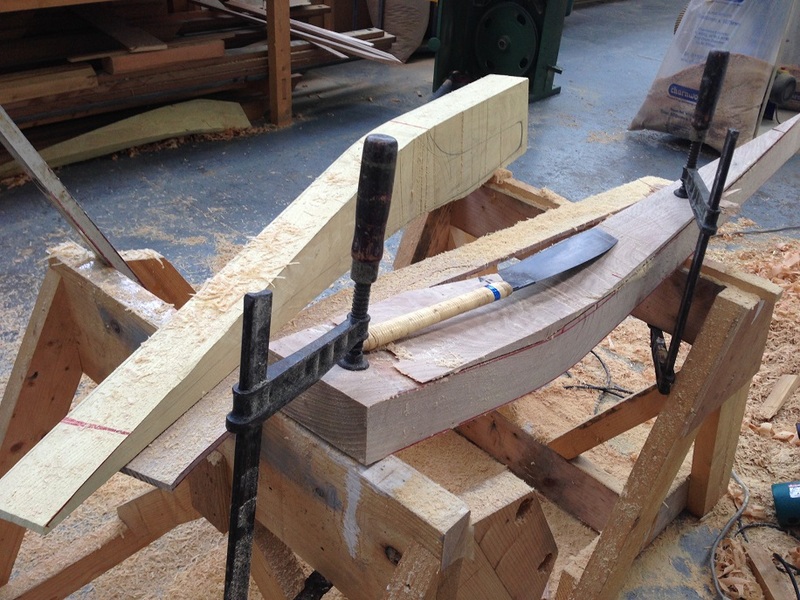 As a sailor of wooden boats he related his deep appreciation and enthusiasm for the great traditions of vernacular boatbuilding, and further added that there should be many ships in the style of the Ilen plying a new contemporary trade in community education and national tourism on the south and west coast of Ireland. 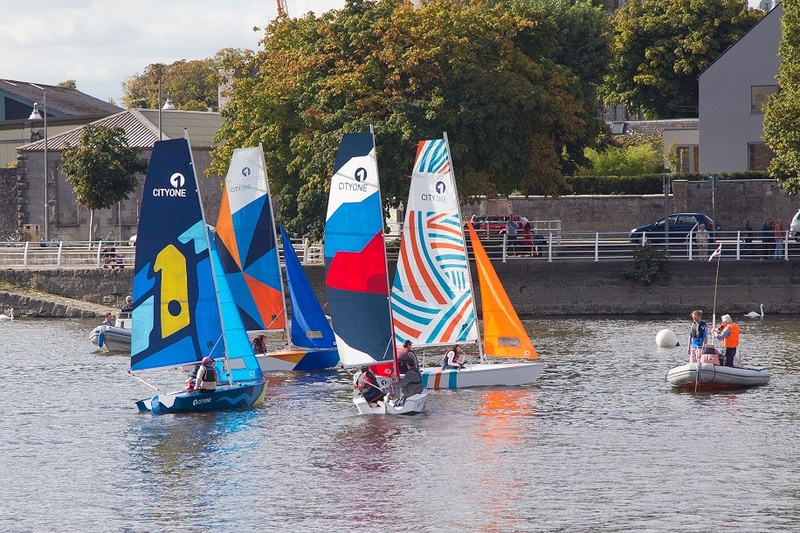 He also remarked on the unique capacity of boats to unit coastal community – in this particular case the communities of Limerick City and Baltimore, West Cork. – Over 150 guests attended the ceremony in the Cornstore of Hegarty’s Boatyard, leaving little room to swing the custom cast bronze maul. 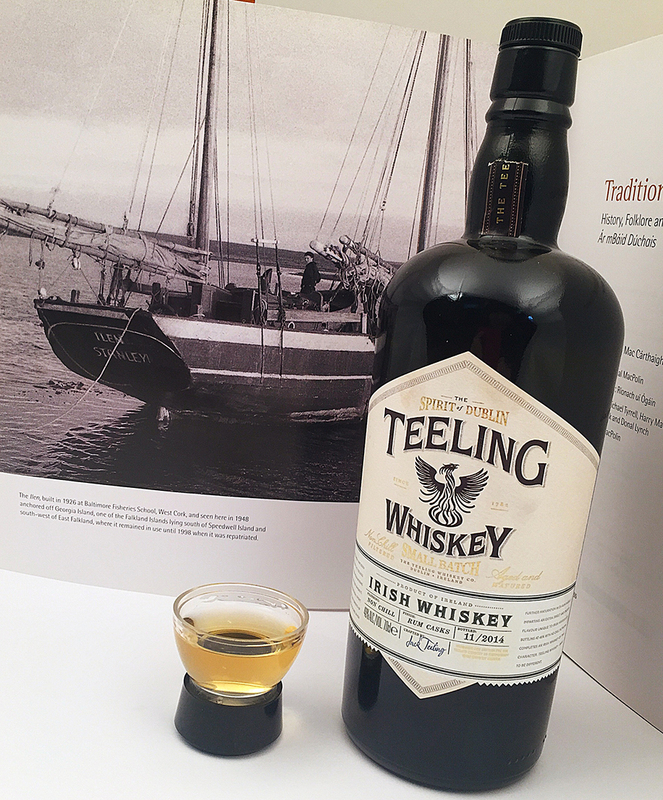 – Brother Anthony Keane of Glenstal Abbey, director of Ilen School, was MC for the occasion and gave a wonderful and numinous address, evoking the great sea myths of Ireland, and, in the immemorial custom of boatbuilding, doused the wooden hull with Irish whiskey, generously sponsored by Teeling Whiskey. Michael Byrne of Sail Training Ireland also attended the ceremony – his organisation plan to extend their national sail training programme to include youth in Limerick this year in a joint venture with the Ilen School, and go on to place trainees on the Ilen, when with a fair wind she might enter her operational phase in 2017. 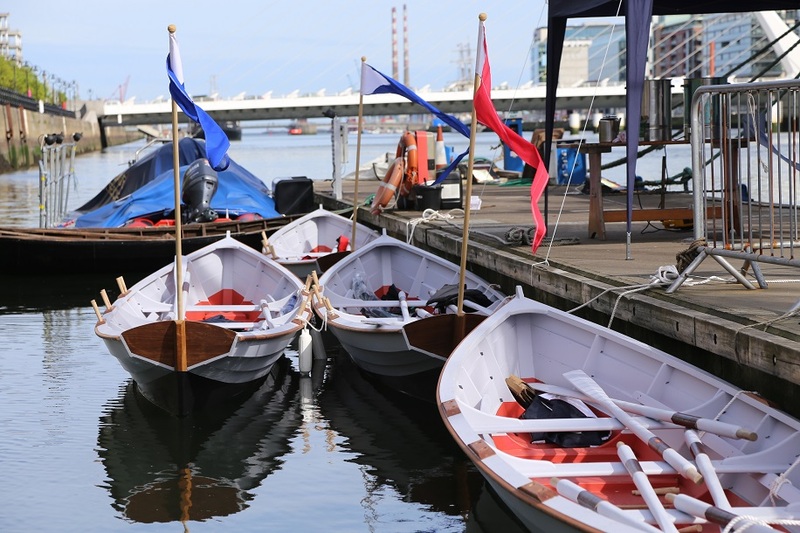 The event was also attended by participants and instructors from the Ilen School, the shipwrights of Hegarty’s Boatyard, Oldcourt as well as many aficionados from the maritime sphere. The event was also attended by Tom MacSweeney, who interviewed and recorded the principal project personalities for his maritime radio programme This Island Nation.